When a child’s curiosity is sparked, they feel motivated to explore, experiment, and understand. As educators, our role is to tap into this natural drive and help guide it towards healthy and positive paths. The question becomes, how do we engage and harness a child’s unique interests, the kind that fuel a desire for discovery and lead to deeper learning? 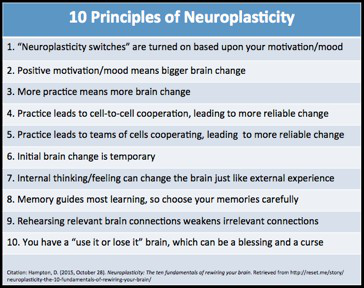 From a neuroscience perspective, the key seems to lie within our brain’s dopamine circuits (the brain’s desire and reward system). Whenever children accomplish personal goals or satisfy their curiosity, the brain releases dopamine, which not only brings pleasure, but also improves memory and observation. Research shows that children’s learning soars when they read about things they were already wondering about, or when their lessons are guided by active and spontaneous exploration. It’s the positive emotions, and the associated internal reward, that really makes a lesson stick (and makes children want to learn more). In positive, supportive environments (conducive to exploration and experimentation) children learn more – and they learn better. 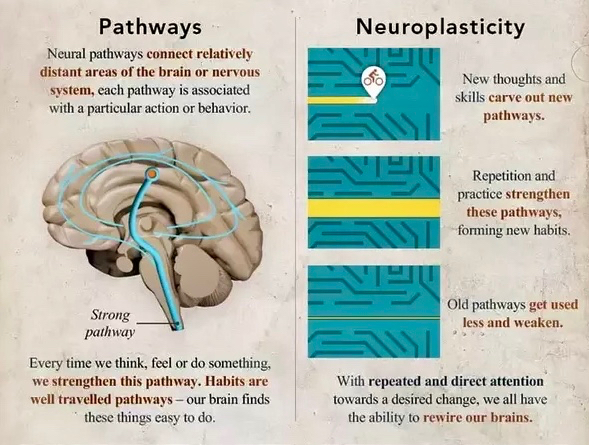 Children are naturally hard-wired for learning, and the young brain is constantly wiring and rewiring itself with each new experience and understanding; this adaptive process is known as neuroplasticity. 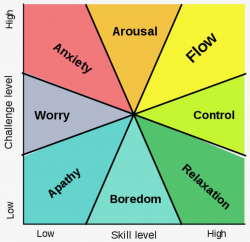 To help facilitate positive neuroplasticity or “deep learning”, we at Whytecliff gently weave a 3-pronged approach into our curriculum, which includes the latest science on “Growth Mindset” and “Optimal Experience”; we also encourage youth to collaboratively engage in self-reflection and goal setting through our proprietary “Viewpoint Groups”. Stanford University psychologist Carol Dweck (2006, 2012) theorized that people can have one of two ‘mindsets’ about their intelligence and learning. People who have a “growth mindset” believe that intelligence can be cultivated through experience and effort. 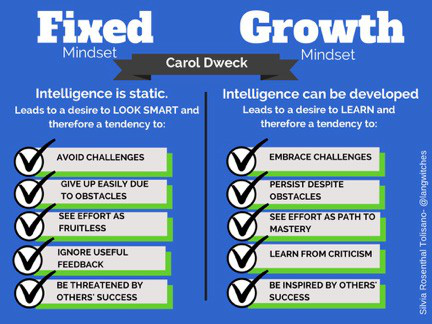 The opposite of a growth mindset is a fixed mindset, which is the belief that intelligence is static – you either have it or you don’t. People who have a growth mindset see challenges more optimistically… as learning opportunities, or temporary obstacles to be overcome. Whytecliff Provides ample encouragement and opportunities for students to develop a growth mindset. This is a goal on every Whytecliff student’s IEP. 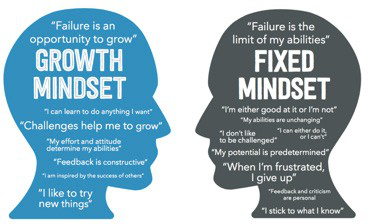 The image below illustrates the implications on a student’s learning from having a growth or fixed mindset. In practice, having a growth mindset manifests itself as more positive or encouraging stories we tell ourselves (about our own abilities and our learning). The image below contrasts some of those stories with the stories that limit people with a fixed mindset. Educators have long known that children’s attention holds the trump card in the classroom, determining how and how much youth engage in deep learning. As William James observed, “Only those items which I notice shape my mind”. These states of ‘optimal experience’ are intrinsically rewarding to the human brain. Like a tree growing towards sunlight, the neurons in our brain are drawn to – and ‘grow’ and rewire towards – the source of these optimal experiences. As a result, we feel a deeper sense of connection to the subject at hand, attention increases, and learning flows naturally. At Whytecliff, we seek to promote such ‘optimal experiences’ for youth by encouraging them to explore, tap into, and expand their natural skills, talents and gifts, and to set personally meaningful goals that keep them feeling engaged; we recognize the latest science of positive psychology – and understand that positive emotions fuel the motivated engagement that increases deep learning (neuroplasticity). And so we intentionally tailor learning environments and experiences to be fun, engaging, interesting, and personally meaningful. At Whytecliff, “Viewpoint Groups” personal development workshops are offered once a week, for an average of an hour, over a period of eight months. Many topics are covered including: anger, emotions, family dynamics, sexuality, resourcing skills and career development. “Viewpoint Groups” is an approach to intra-personal skill development and capacity building developed by Whytecliff. This model emphasizes the process of exploring issues and our responses to them, and contends that participants cultivate readiness for education and skills training – for “doing” – only by examining who and what they are. This process of self-reflection does not exclude education and training; rather it recognizes the crucial importance of self-understanding, values clarification, perspective taking, goal setting, and personal responsibility. As children are the narrators and navigators of their own lives, they hold a uniquely central position from which they might serve as their own best friend in their learning and personal development. The goal of “Viewpoint Groups” is to gently increase children’s internal capacity for making wise and positive choices about where they’re headed and who they want to become.